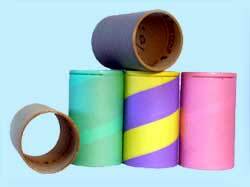 M R S FZE is a prominent Manufacturer, Exporter & Supplier of POY Paper Tubes. The POY Paper Tubes offered by us are available in various forms of finishing. Moreover, the POY Tubes are custom-made & highly reliable and have been manufactured in accordance with customerâ��s requirements.